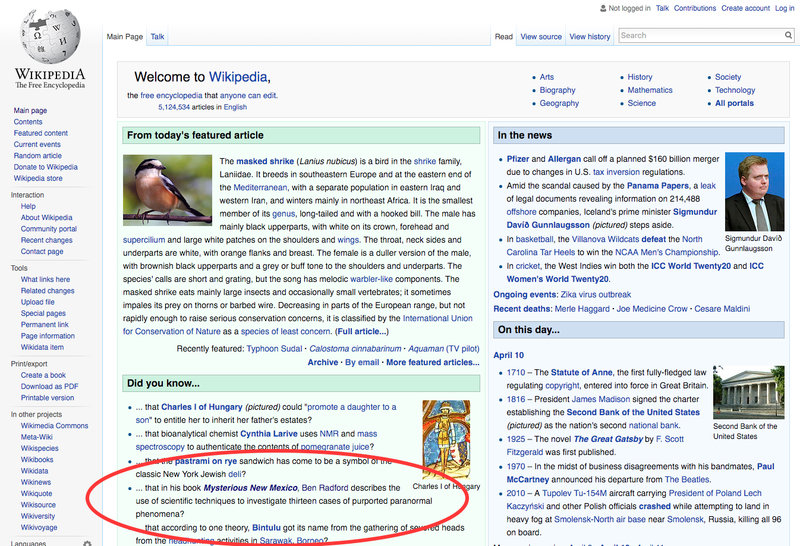 ‘Mysterious New Mexico’ Highlighted on Wikipedia! My book Mysterious New Mexico that was featured on the front page of Wikipedia for 12 hours last week received 1,950 page views. Most of those views were not from the skeptic community, so great outreach! You can find more on me and my work with a search for "Benjamin Radford" (not "Ben Radford") on Vimeo.